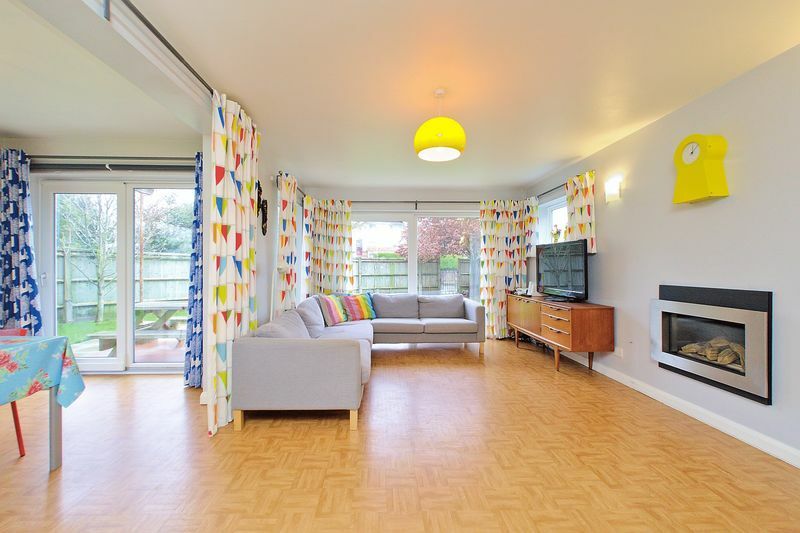 White and Brooks are delighted to offer this unique 1959 architect designed detached house, situated on a corner plot in this sought after area, within easy reach of Bognor Regis town centre, railway station and the seafront. 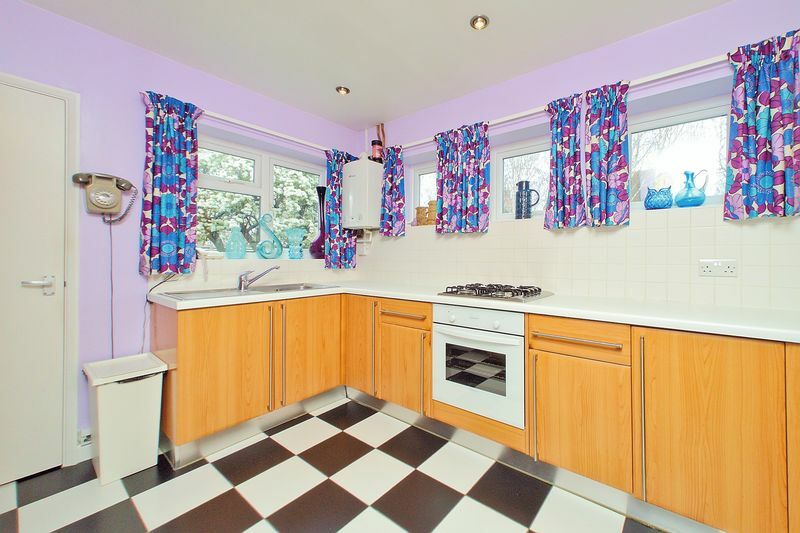 The property has been refurbished by the current owners including a new roof in 2018 and a new boiler. 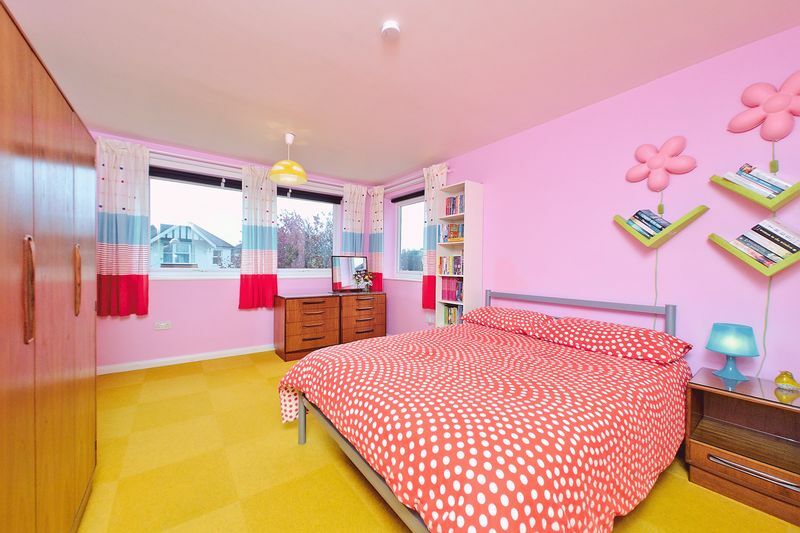 The accommodation briefly comprises to the first floor, three Bedrooms and family Bathroom and to the ground floor, L-Shaped Living Room, Dining Room, Kitchen and Shower Room. 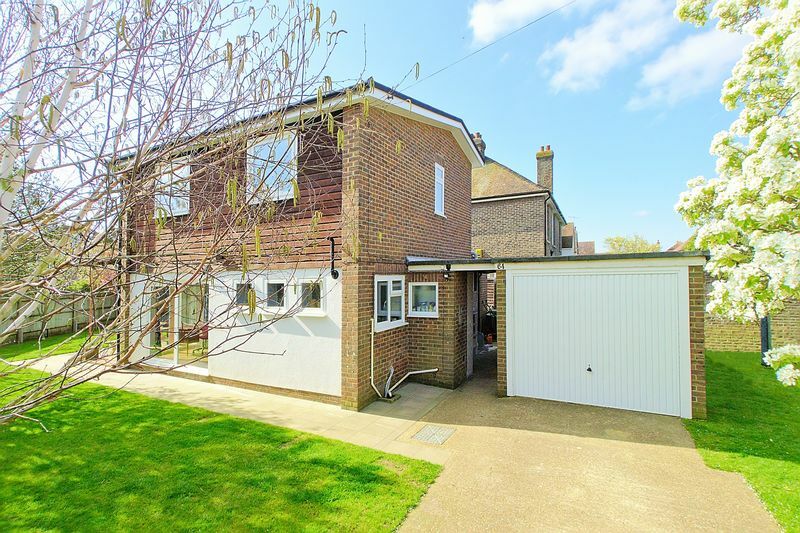 The property further benefits from well maintained gardens to three sides, covered storage area, garage and off road parking. 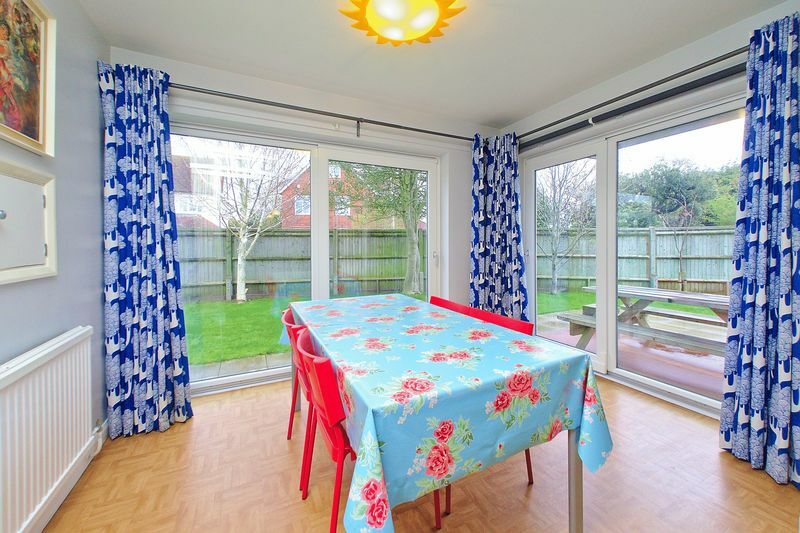 An internal viewing is essential to appreciate the location and accommodation on offer. Double glazed door, wall mounted radiator, under stairs storage cupboard and wood effect flooring. 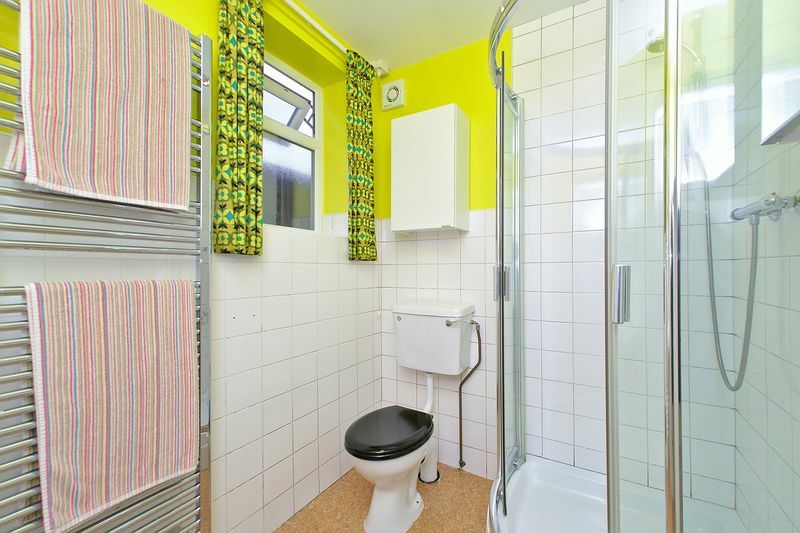 Double glazed window to side aspect, corner shower cubicle with mixer shower, pedestal wash hand basin, low level WC, part tiled walls, chrome ladder style towel rail and extractor fan. Double glazed sliding doors to front and double glazed windows to boths sides, log effect gas fire, wall mounted radiator and wood effect flooring. Double glazed sliding doors to rear and side aspect and wall mounted radiator. Double glazed doors to rear garden and double glazed windows, wall and base level Kitchen units, roll edge work surfaces, stainless steel sink with taps and drainer unit, part tiled walls, 4 ring gas hob, integrated electric oven, integrated fridge and freezer, and utility cupboard with space and plumbing for washing machine and tumble dryer. Double glazed window to rear aspect, built in airing cupboard and loft access hatch. 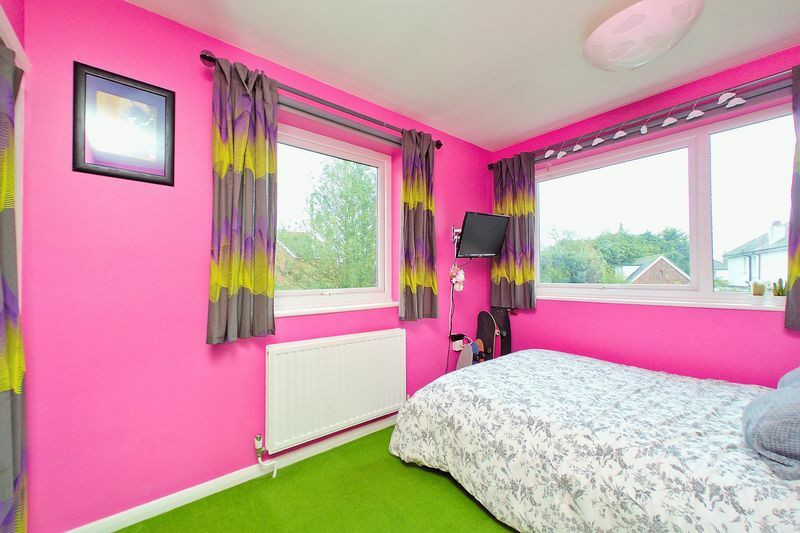 Triple aspect double glazed windows, wall mounted radiator and large built in wardrobe. 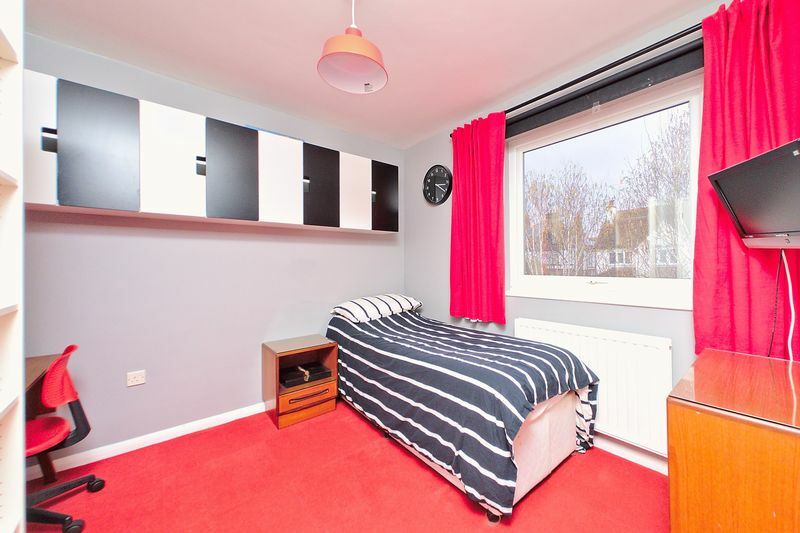 Dual aspect double glazed windows, wall mounted radiator and large built in wardrobe. Double glazed window to side aspect, wall mounted radiator and large built in wardrobe. Double glazed window to side aspect, wall mounted radiator, panel enclosed bath, wash hand basin and low level WC. 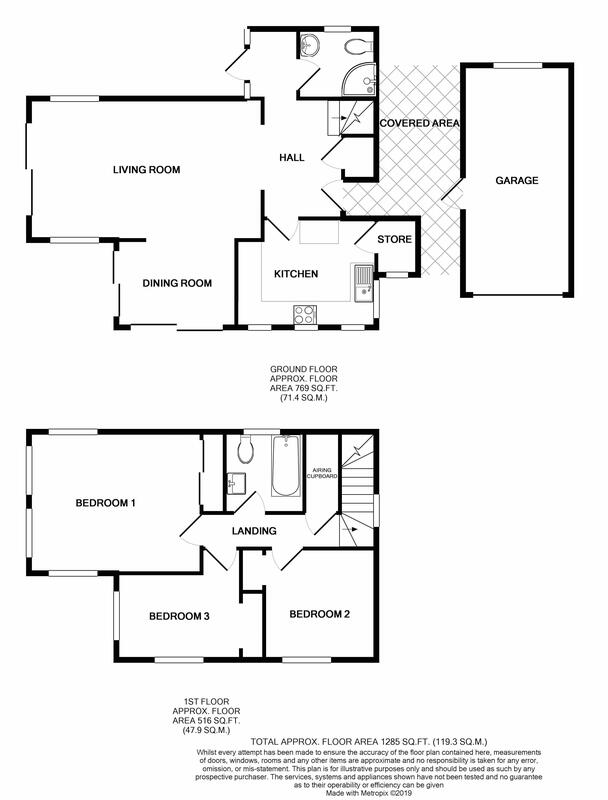 Mainly laid to lawn, with shrubs and plants to borders, pathway to front door and side access. 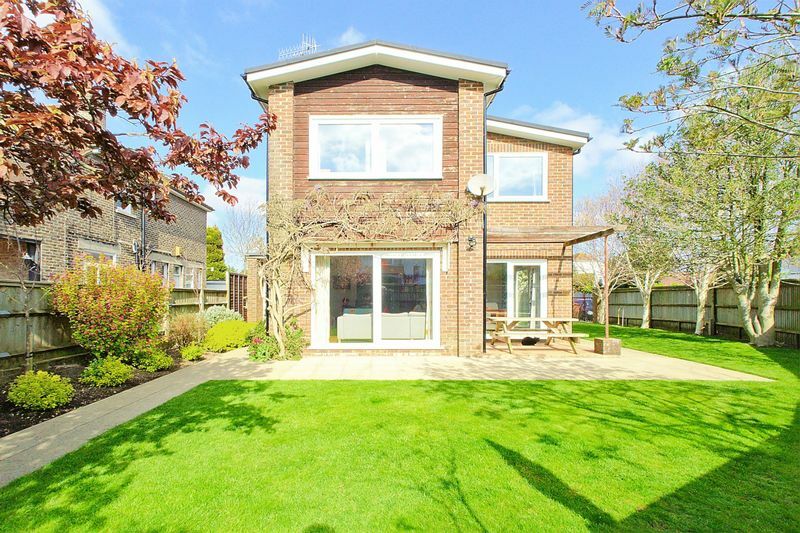 Accessed via front garden, mainly laid to lawn with mature trees. 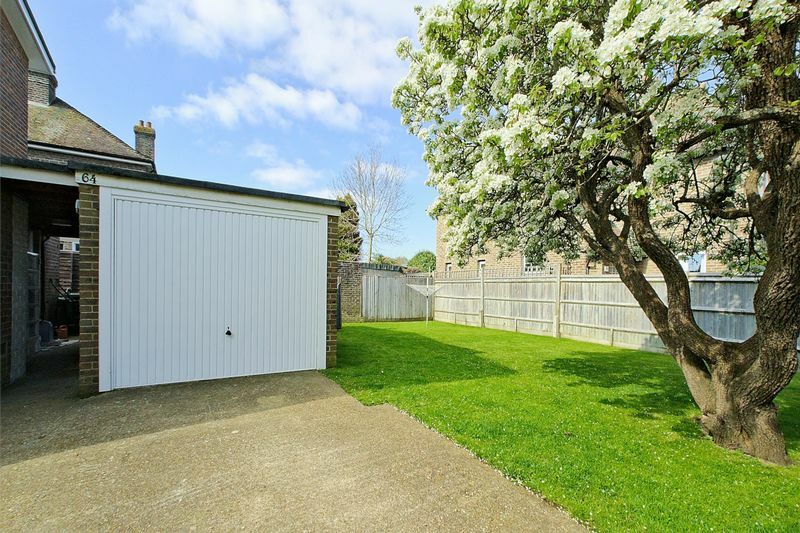 Mainly laid to lawn with mature trees and shrubs to borders, useful covered storage area and double gates leading to off road parking area. With up and over door, light and power connected, double glazed door to side and double glazed window to rear.